Welcome to the EliteFitness.com Bodybuilding Site! Please join this discussion about 3rd cycle within the Anabolic Steroids category. Pct= clomid nova aromasin plus tbooster and gw.. Diet: will be high proteins moderate fat and carbs only morning and early afternoon..this is what usually works best for me.. Questions:1. how much npp should I run for my desired results? 2. Prolactin issues. Will this be an issue with this amount of mg. If so what should I use bromo or cab? And how much should I dose? Don't go into this trying to lose body fat and gain muscle you are only 178 lbs. You bulk or you cut period! Instead of focusing so much on your drugs you need to focus more on your diet. You need to be eating five solid food meals per day with protein shakes in between. That's whats going to make you grow. I don't care how much drugs you take it just is not going to matter unless your diet is in check. That being said keep things simple you are over complicating things. 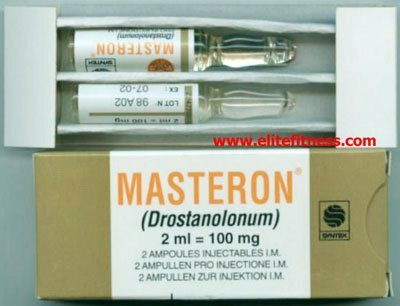 Get rid of the NPP you already have the T-bol and propinate ester in your sustanon to kickstart your cycle and let the test build your mass for 12 weeks. You can gain 10 lbs on that cycle if your eating like I described above. Food is going to determine how you reach your goals not how much steroids you take. Master your diet and you will master your body. Anti-estrogen when you need it. As far as PCT is concerned. Nolvadex and HCG is your best bet. Nothing is going to bring your natural test back better than HCG. Thank you for posting your stats also it helps in us giving better directed advice. Also have some respect for the guys that take time out of there day to answer your question trying to help you by coming back and asking more questions or at least saying thank you. It just helps enrich the quality of the forum and gives more quality information. NPP is simply fast acting deca durabolin. You can look up the deca durabolin profile anywhere on the internet. It's good for kick starting a cycle in my opinion because it starts working right away. It is not good to use as a standalone product for long cycles because of how often it has to be injected. I would stick to basic deca durabolin for 12 weeks with testosterone. I would also have caber on hand just to be safe so you don't run into sexual side effects. If you wanted to replace the t-bol with NPP you could certainly do that! The reason I told you to stick with t-bol is it does not convert to estrogen and you will spend less money using it over NPP because you will not have to spend extra money on caber. 3rd DNP cycle - yes I am a masochist!